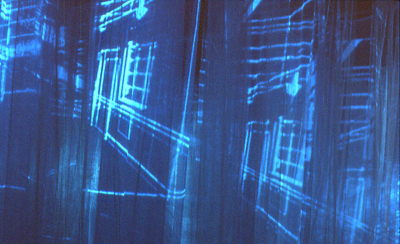 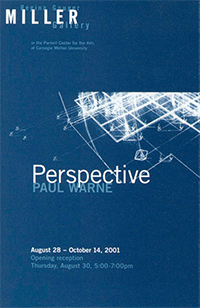 Emerging artist and animator Paul Warne, who lives and works in San Francisco, transformed the second floor with multiple angled video projections of computer animated imagery. 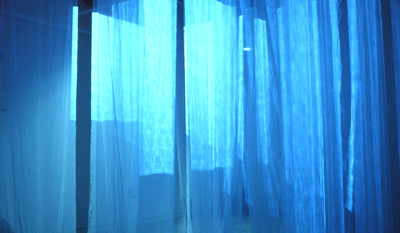 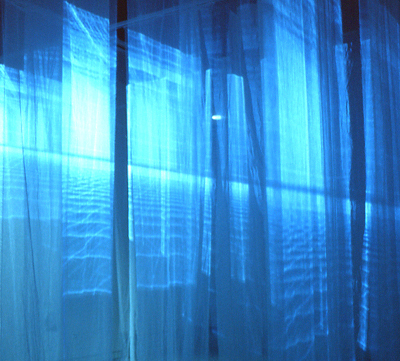 Layers of cheesecloth suspended from the gallery ceiling functioned as screens, and audio completed the piece. 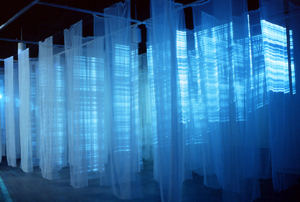 The audience moved freely throughout the entire space and observed the animated imagery, and the relationship between real and digital space.